Looking for americana books? Biblio.co.nz hosts hundreds of of the finest online book stores and booksellers, including specialists in americana. Use the list below to locate a specific specialist bookseller or book store near you. Or, use the form below to search the inventory of all booksellers who specialize in americana. Important books, manuscripts, and photographs representing mankind's greatest achievements. 2nd Act Media is an online used book retailer. Biography, Film, Geography, History, Music, Philosophy, Politics, Religion, Sports and more. Act 2 Books, an award winning, independent, family owned book shop has been a favorite of bibliophiles for almost two decades.Nestled in historic Flemington New Jersey, Act 2 Books is a short ride from both Philadelphia and New York City.Act 2 Books boasts 30,000 carefully curated books on display. We are proud to offer the region's largest collection of Military History. Visitors will also discover extensive collections of: Modern First Editions, Fine Bindings and Antiquarian Books , Literature , Local History and American History , Books on Books , Biographies of All Sorts , Art , Spirituality, Science Fiction , World History, and of course Best Sellers too. ( We always have 1,000+ Books Under $1 ! )We're Open Every Day 11a - 8p. Almagre Books specializes in rare and out-of-print Americana, especially the West, the Southwest, Mexico and Latin America, Canada and Alaska. History, exploration, early settlement, American Indians, etc. Also art and photography books and original photographs, maps, documents, and ephemera. Other subjects include sporting books, travel, exploration, science, and books in Spanish. Mail and internet orders only. Catalogues issued periodically in the above subjects. 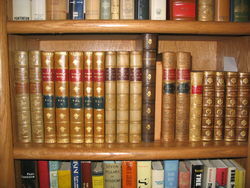 We have been in business since 1978 selling fine old and rare books. All books are professionally wrapped, protected in bubble wrap, and shipped in a sturdy box. We are a large retail store, with 6 floors of out-of-print and rare books, (including, Americana, modern first editions, history of medicine and science), antique maps and prints, autograph manuscripts, letters & signatures. We buy and sell quality used and out-of-print books, with an emphasis on Americana, Military and Naval History, and Nautical material. But we have many good books in a variety of subjects. We are located in historic Annapolis, Maryland. In business since 1973, Bauman Rare Books now has locations in New York, Philadelphia and Las Vegas. Selling mainstream and historical fiction hardcovers, first editions, antiquarian editions, vintage paperbacks and magazines. Seller of used and collectable books. Books Northwest is a Seattle-based source for used, rare and collectible books. We are a general interest on-line bookstore with approximately 10,000 books in stock, primarily scholarly hardbacks. Our stock changes often and currently focuses on Americana and Western Americana, military, collectible children's, music, foreign language editions, vintage mysteries, first editions, James Thurber, and Ohioana. By appointment only. Independent bookseller, specializing in harder to find, Good and better condition items across many categories and subjects. Quality used, uncommon, & rare books. Mostly non-fiction +literature.Remainders, Book Club, & Ex-Library editions always noted as areprice clipped jackets. Established in 1979, Boston Book Company offers rare, scholarly books in all fields. Our areas of particular expertise: children's books, photographica, Americana, historical archives, women's books, color plate books, early maps and atlases, sets and fine bindings, American and British literature, Japanese woodblock print books from the 18th, 19th and 20th centuries, travel and exploration, and scholarly books about Japan and Asia. We buy and sell books in all these categories. I will also maintain a small stock of US postal history, & reference books, and books related to fly fishing. Buddenbrooks has one of the finest collections of landmark, rare books and manuscripts in the world. Our intention is to provide great books or manuscripts in excellent condition. We enjoy sharing our passion and expertise with anyone interested in fine and rare books. And we also look forward to the opportunity to meet you. 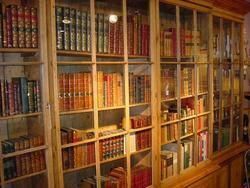 We maintain premises in the heart of historic Newburyport which are reminiscent of a European style librarie. We encourage you to visit our shop where books are beautifully presented in fine library cabinets in a sophisticated environment. We are also available by appointment only to meet with clients in Boston, where we also have maintained a presence for over 40 years. If you see an item which interests you or if you would like to learn more about our offerings, please contact us via telephone, fax or e-mail. Chaparral Books is located in SW Portland next to Lovejoy Park near Portland State University. We specialize in Western Americana and Native American Literature, including Western Writers. Buying and selling used & collectible books in all catagories, with a specialty in Americana and Travel. Crabtree's Collection Old Books has been a reliable source of out-of-print books since 1983. We carry more than 35,000 titles in stock at our mail order operation located in Sebago, Maine, northwest of Portland. Our inventory includes most subjects, but emphasizes nature, history, children's books, and Americana. Used and rare books of quality in all subjects. 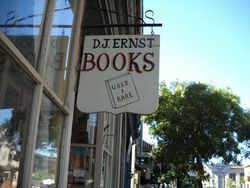 A small clean well-lighted store established in 1975 in Selinsgrove Pennsylvania, DJ Ernst-Books offers a diverse interesting stock of out-of-print, used, and antiquarian books. There is limited space and therefore quality is stressed over quantity. I treat each customer as an important person. 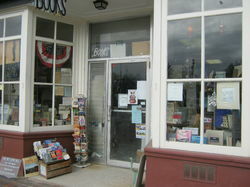 My book shop is open 6 days a week, and is located in the scenic Susquehanna River Valley. Susquehanna University, with their expanding writing program, is located in Selinsgrove. Thus, several of my customers are writers or aspiring writers. We have an extensive collection of books on Americana, Military History, Intelligence and Espionage, the Middle East and the American Revolution. In 1987 we discovered and validated an original copy of the Declaration of Independence. An online shop focusing on Americana, particularly books pertaining to the South, and offering rare, scholarly, and antique books on a variety of other subjects. Proprietor David J. Eilenberger worked for over five years at respected firms in the A.B.A.A. before establishing the company in 2010. In addition to books, we are interested in acquiring broadsides, ephemera, 19th-century photographs, and manuscripts. Member Independent Online Booksellers Association since 2017. We are an Open Shop in Towne Center Antique Mall. 3900 Bonney Road. Virginia Beach, VA 23452. We have been selling books for 20 years, 13 online. We are open daily! 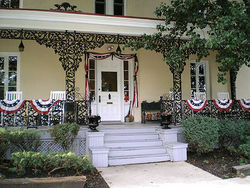 Our inventory includes Americana, Virginia and local history. 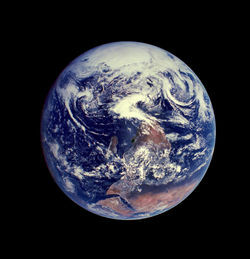 World history, Classic Literature, Science and Technology, Philosophy, Religion, Fine Bindings and sets. Too many too list! Formerly Oriental Bookstore in Pasadena, CA. Antiquarian bookseller, with over 15 years experience. We specialize in scarce or uncommon academic and other nonfiction titles. Many years of reading enjoyment, along with massing a large collection of books has brought me to Biblio in order share and offer wonderful finds that I appear to have a knack for.The vast majority of my books are in fine to new condition. Even many of the older books (>100 years old)are in amazing condition. My pricing is determined by a number of sources, their pricing and condition is weighed and my prices are determined by a multiple factors. I feel my offerings and product is, and will remain very high quality and I do not expect too many disappointments! I look forward to servicing you in the very near future. Founded in 1978 by James Cummins, the firm has grown to include two New Jersey locations as well as the main store at 699 Madison Avenue (between 62nd and 63rd Streets) in New York City.Hours: Monday - Friday 10:00 a.m. to 6:00 p.m. (During July & August, until 4:00 p.m. on Fridays. )The Madison Avenue store is a seventh-floor oasis for book-lovers, a quiet and pleasantly furnished book room with a carefully chosen, expertly catalogued and broad-based selection of fine and rare books, autographs, manuscripts, and works of art. We have built notable private collections for American and international clients. Our stock is always changing, and our steady input from private buying and public auctions assures our clients of new surprises (and temptations!) at each visit. Our stock covers a wide range of collecting interests, with particular emphasis in the following fields: British and American Literature, Sporting Books, Private Press and Illustrated Books, 19th-Century Color Plate Books, Americana, Travel, Sets and Fine Bindings, History, and Authors' Manuscripts and Letters. Our catalogued inventory exceeds 50,000 titles, much of which can be searched on the internet. In addition, our New Jersey warehouse contains over 400,000 books in all subject areas. We might have the books you're looking for. We have been selling books for over 15 years. We specialize in Americana, First Edition Literature, Golf, History, Railroad, Chess Medical, Western Americana, Mysteries, Economic History, Poetry, Aviation, Ornithology, Minnesota, Horses, Genealogy and Military Books. John Michael Lang Fine Books is a brick & mortar book shop in Seattle's Ballard neighborhood. We maintain an inventory of fine books, photographs, art, and ephemera in many fields. Occasional catalogs issued. We have a wide variety of books in our open shop, including 22,000+ titles. We specialize in Modern First Editions, signed books, theology and Americana. We also have a strong representation in the New England writers of the 19th century. 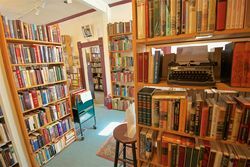 Kaaterskill Books is located on Parker Mountain in the Catskill High Peaks region of New York State We deal in used, out-of-print, and rare books in a number of subject areas including American History, Art, Books on Books, Literature, and Religion. In addition to our primarily scholar works, we carry a substantial general interest inventory. We specialize in buying and selling printed and manuscript items pertaining to America and American history in its various aspects. Books, pamphlets, broadsides, ephemeral items, manuscript letters, diaries, account books and business ledgers and records from 1482-1930. Michael Carroll Dooling, Rare Books & Manuscripts, LLC is located in Middlebury, Connecticut. Michael has been an antiquarian bookseller since 1976 and carries an eclectic array of books and manuscripts. We are in our 35th year of selling antiquarian and rare Americana. We regularly issue catalogues and lists of New Acquisitions, featuring books, pamphlets, maps, historical sets and periodicals in our subject areas of specialization, including: Colonial Americana The American Revolution, and the War of 1812, The South and slavery, The War between the States, Native Americans,Western Americana, Local History and Genealogy ,Canadiana ,Voyages and Travels, American Utopian Communities, American Church History. Montclair Book Center has been in business since 1984, and we are the largest Used and New bookstore in New Jersey with 15,000 square feet of selling space and over 1 million items in stock. We are just 15 miles or 30 minutes from New York City and certainly worth a visit. I started as a collector of signed Presidents and Politicians more than 30 years ago. I have expanded that original collection to include signed documents, ephemera, historical, Americana. Montgomery also excels at assisting clients de-acquisition their inherited books or your own collection. We also attend multiple books fairs each year in the Western U. S.
Sales through the internet and at book shows in the midwest. Mount Hope Books is an internet only bookseller with a wide selection of out-of-print and collectible books. Nick Aretakis has been involved in the rare book business since the late 1990s. He has been in business for himself since August, 2014, and specializes in American history, Western Americana, political history, diplomacy, social history, law, manuscripts, prints, maps, and photographs. Old Algonquin Books is owned by John and Helen Dunning who had an open store in Denver from 1984-1994, and have been selling on the internet since then. 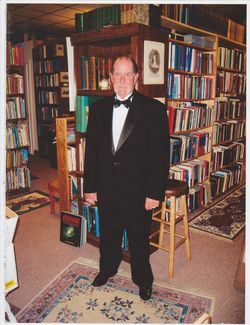 Member of the Rocky Mountain Antiquarian Booksellers Association (RMABA).All books with dust jackets have removable mylar covers on the jackets unless otherwise noted. First edition also means first printing unless otherwise noted. We have been in the book business for more than 45 years (first in a store in Chicago and now online for over 5 years). If you would like additional information on a particular book or if you would like to see a photo/photos of an item please email us and we will be happy to accommodate. Ben Muse began selling books from the former Knowles General Store in 1959. Now in our third generation, we are a famiy-run, general book store selling new and old (often rare) books as well as issuing specialty catalogs on a variety of subjects: Americana, Latin America, Maritime, Art, the Orient and a variety of other subjects. If you can't find what you are looking for here on the web, please contact us directly at our Yarmouthport shop -- or better yet stop by to browse and talk. We look forward to seeing you. Mail order and book shows. Member of Mi Antiquarian Book Dealers Assoc. and NOBS. We carry collectible titles in almost every category with an emphasis on Michigan and Americana. Pen Ultimate Rare Books carries the largest selection of rare, signed, and manuscript Ayn Rand on the planet! We also carry landmark works of History and Science. And we LOVE English Grammar. Split an infinitive with us! Philenor Rare Books is tucked away in Jamaica, Vermont. We specialize in early Americana but sell books in many other genres including art, small press, manuscripts, natural history, modern fiction, science, and early printing. Historical prints and ephemera are for sale as well as antiquarian books. Mail order only. Member of Vermont Businesses for Social Responsibility. Also specializing in: American Civil War Americana Autographs History Limited Editions Modern First Editions Sets In Fine Bindings Signed And Inscribed Books. Out-of-print titles in a variety of areas, plus vintage magazine articles, advertisements and paper ephemera. Bookseller for21 years. Specializing in a wide range of subjects. We live & breathe rare books! This year we are celebrating over a decade of business with over 10,000 positive transactions all over the globe! We remain at your service and look forward to earning your business. 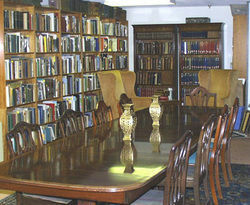 Established on 1972, we sell used and rare books. We are members of the Antiquarian Booksellers Assoc. of America, the International League of Antiquarian Booksellers and the Massachusetts and Rhode Island Booksellers . Established in 1992, we are family owned and operated. We strive to provide excellent customer service and our inventory is hand picked for the best quality and subject matter. Our diverse inventory of used, rare and out of print books, as well as ephemera, covers most areas of interest and favors more the uncommon or unusual titles. 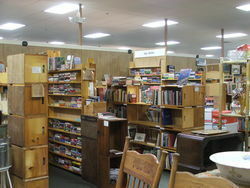 T. A. Borden Books has been in business since 1987. We carry books in all fields, primarily academic and specialized titles. We are a online store specializing in Fishing and Hunting books, Poetry, Local Histories, Natural History, Signed Books, and Americana. 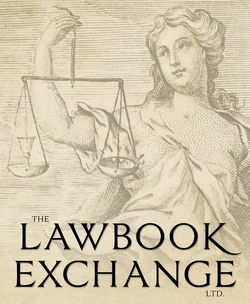 Founded in 1983, The Lawbook Exchange, Ltd. is devoted to all aspects of law and its history. It has two main components. The Antiquarian Book Department offers a wide range of Continental, British, and American books, manuscripts, and ephemera from the medieval era through the twentieth century. The Publications Department offers reprints of over 1,000 landmark or otherwise interesting works, many with newly commissioned introductions, and several original publications. The Lawbook Exchange also offers appraisals and provides assistance with collection development. Originally a company that serviced law firms exclusively, it now serves thousands of lawyers,scholars, and institutions worldwide. Founded in 1978 by James Cummins, the firm has grown to include two New Jersey locations as well as the main store at 699 Madison Avenue. The Madison avenue store is an oasis for book-lovers, a quiet and pleasantly furnished book room with a carefully chosen, expertly catalogued and broad-based selection of fine and rare books, autographs, manuscripts, and works of art. We purchase and sell only collectible first editions in a number of fields all focused on Americana. We are primarily mail order sellers; however, we are open by appointment and welcome visits from customers. Customer service is our top priority! Susan is an ALA member librarian and lifelong book collector and enthusiast. Peter has happily spent nearly 30 years in the used book business. 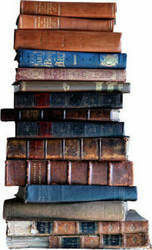 Together we have been selling used and out-of-print books of merit online for over twelve years. Books are well packaged to prevent damage in transit. Walkabout Books is an antiquarian bookstore located in Southern California. We specialize in the literature of travel and adventure, including travel narratives, travel and tourism ephemera (travel diaries, vintage brochures, guidebooks, etc), exploration, mountaineering, and other outdoor pursuits. We are also strong in Americana, and carry interesting and unusual books in many other fields. West Side Book Shop, Located in downtown Ann Arbor, was established in 1975 by Jay Platt, a member of the ABAA. West Side Book Shop offers a wide selection of used and rare books. What Cheer? is a Rhode Island Antiques + Vintage Shop that Specializes in Ephemera and Rhode Islandiana. Besides Rare + Unusual Books, we also carry Postcards and a Variety of Vintage and Antique Paper Goods. Zephyr Books is owned and operated by Lee and Ivye Johnson. We have been in the book business in Reno, Nevada since 1994. We have operated both brick and mortar, as well as online exclusive shops. We closed our brick and mortar shop in 2013, and now offer an exclusive selection of rare, collectible, and antiquarian books online only.